Thanks to modern dentistry, dentures are more comfortable than ever. They are the simplest and most cost effective way to replace missing teeth, however they're not for everyone! 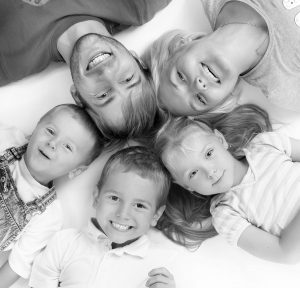 At Shine Dental we can go through the options available and advise on the best choice for you. Smile, eat and speak with confidence, we're here to help. Denture stabilisation is a process undertaken to improve the stability, comfort and effectiveness of a person’s dentures. There are a number of methods to stabilise dentures, however the most effective (and long term) is to use dental implants to anchor the denture. Dental implants are inserted into the jaw bone and replace the root portion of missing teeth. One of the biggest concerns about dentures is that they will come loose (or even fall out) at the most inconvenient moment. This can be both embarrassing and distressing. With the use of implants to stabilise a denture this won’t happen and so patients are provided with peace of mind. If you would like to know more about Dentures, call or drop us a line TODAY! There are many benefits to using implants as a way of stabilising a denture. If you would like to know more about Denture Stabilisation, contact Shine Dental. We can help you decide which method is right for you. The use of metal dentures could provide a number of benefits to the lives of denture wearers who have experienced a lack of confidence or previously loose plastic denture. A primary benefit of wearing metal dentures is the fact that they are custom-made to ensure it is compatible with the tissue of the mouth in a bid to completely remove the risk of allergic reactions or gum irritations. All dentures of this nature are finished in high-impact acrylic, meaning they are able to stand up to the wear and tear that affects teeth on a daily basis.